Artist Anish Kapoor has claimed victory in a battle to force the National Rifle Association to cut a shot of one of his sculptures from a recruitment video. 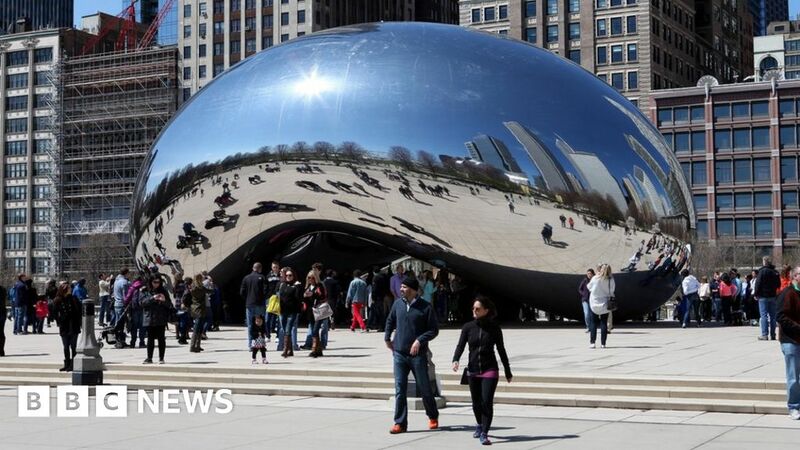 The British sculptor was angry that the US pro-gun campaign group used a fleeting shot of Cloud Gate in its video The Violence of Lies. Nicknamed The Bean, Cloud Gate is the large mirrored sculpture in Chicago. Kapoor started legal action for copyright infringement and settled out of court, his spokeswoman said. He described the NRA’s video as “abhorrent” and said it “seeks to promote fear, hostility and division in American society”. In a statement, he said: “Their bullying and intimidation has not succeeded. The NRA agreed on Wednesday to cut the shot and has seven days to comply, his spokeswoman said. The Indian-born artist also called on them to donate $ 1m (£780,000) to charities supporting victims of gun violence.